Hiiiii there! Hope all of my readers have been having a great week so far. I’ve been meaning to write about the runs I’ve been having lately but something has come up every time I sat down to write. But have no fear, the run recaps are here! Saturday is our usual “long run” day and we usually meet the BW team in Knoxville to get our miles in. Due to a local race being held the same day, we were instructed to just do our miles solo. This worked out great for my Momma and I since we were able to get in a little more sleep. 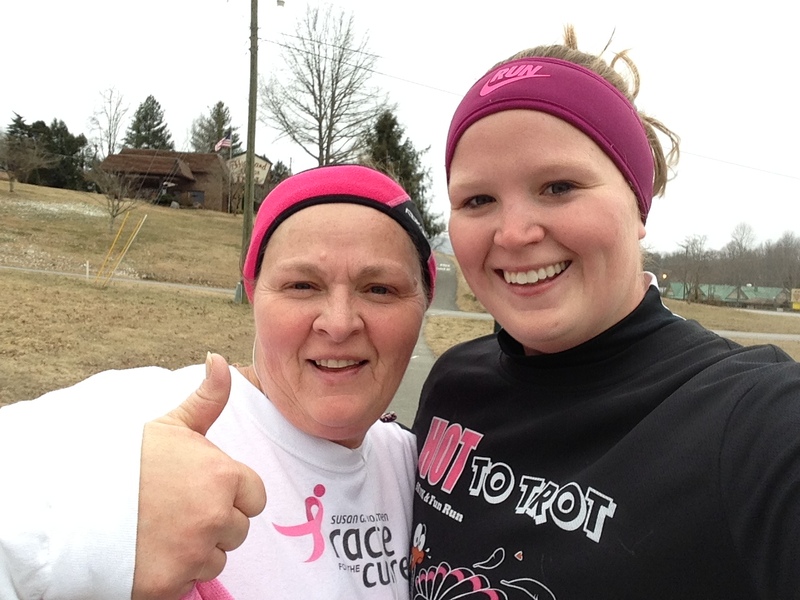 We started out together and did the first mile completely walking. The route we took was up the bike trail and up the BIG hill that I’ve posted about before. Once we got back to the bike trail and a mile had passed I took off so I could get some running in. I was able to go the end of the trail and then come back on a side road so that by the time I made it back to the car I had done a solid 6.2. That really isn’t all that long but it is what I felt comfortable with and I want to get my mind used to the 10k distance since I have a 10k race on the schedule for next week. After meeting back up with Momma and checking my splits I was surprised to see some negative splits. Given the crazy wind and cold weather I am beyond happy with my split times: 16:48, 12:00, 12:55, 12:29, 12:19, 10:52. Long runs are supposed to be slow and easy, right? Sunday had 4 miles on the schedule that were supposed to be “casual”. I had no motivation to do them but after talking with Brittney it was pretty clear that I didn’t have a choice. She sent me what her average time was and I set out with the intent of matching it. Brittney and I have discussed before the importance of having a training partner and days like Sunday really made me fortunate to have her accountability. We are doing a half marathon in October that is our “A” race and so I want to be sure that I work hard and can stay with her on race day. The first two miles of this run were absolutely brutal. I had a wickedly awful side stitch that made each step hurt, the wind was blowing me over, and my mind just wasn’t in it. 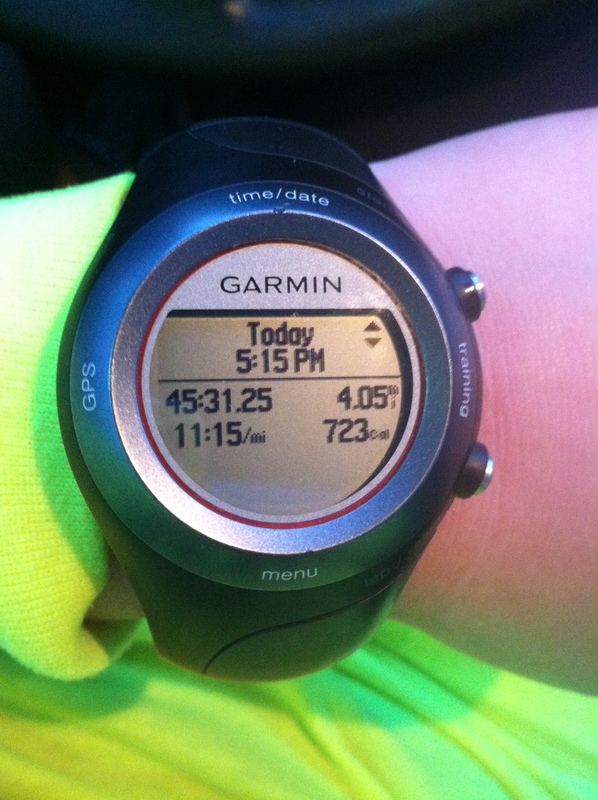 I wish I had set my Garmin to simply show overall pace for the run because the paces were discouraging me. After I began the third mile my side quit hurting and I owned the road. I took a few walk breaks but made sure to keep them short and really focused on my breathing for the remainder of the run. When I made it back to my car I had done 4.05 miles with an overall pace of 11:15. I need to look at my splits but I believe they were fairly even despite the fact I had a rough first two miles. This was a lesson learned both in accountability and just how powerful your mind can be against you. Usually on Mondays I do spin class and then just casually walk or sometimes jog 2 miles. But this past Monday spin didn’t fit into my schedule and Brittney encouraged me to just do some cardio at the gym with miles in between. It was the perfect recommendation and I split my hour with the erg (rowing machine), stair climber, and spin bike. I did 10 minutes of each and did 2 rotations which put me at a solid hour. I also did a mile to warm up and a mile to cool down. That poor stair climber machine was one sweaty beast when I was done with it each time. Whew…I’m sorry if any of y’all enjoy it but that thing wears me out. Tuesday morning Momma and I headed to the gym for a kickboxing class. We made it early enough to get a mile in beforehand but Tuesdays are usually a no mileage day and I’m supposed to do strength and abs. Our kickboxing instructor was on point and I got in some great cardio, killer arm workout, and an ab workout that I’m still sore from. Hot dang it was great! We left the gym and it was snowing but we didn’t think much of it since they had predicted a “light dusting”. 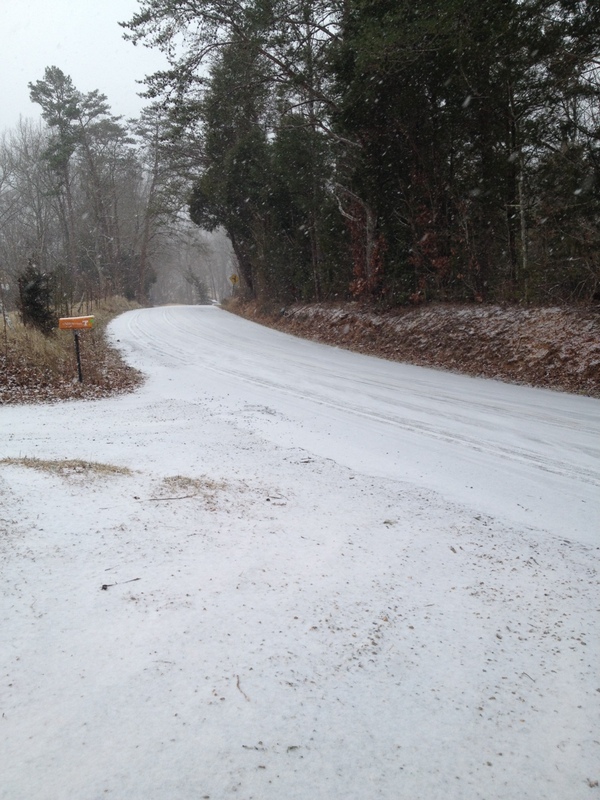 Turns out that dusting turned serious and covered all the roads insanely fast. I still had to go to school yesterday so Momma dropped me off at class and headed home. It became apparent the snow wasn’t going to stop and I started to get worried. My handsome boyfriend works for the university and we usually carpool but he told me I needed to leave when I could because it was getting rough out there. He ended up working all through the night and into yesterday due to the weather. I ended up driving home myself which was completely out of this world scary. My drive ordinarily takes an easy 45 minutes to get home but Tuesday it took me over 2 hours. The 5 lane road leading up to my town was barely even 2 lanes when I made it there. I have to go through a set of very shaded two lane curves in order to get to my little town and I kid you not I went less than 10 mph the entire time (not exaggerating). Cars were passing me like crazy but I was being suuuuuper careful since the roads were so thick with snow and so slick. You northern people are probably rolling your eyes at me but for someone that never gets snow, let alone drives in it, and drives a tiny little Honda Accord, it was hard. After more than 2 hours I finally made it to my road to go home. I ended up parking in a vacant lot next to it and had my Daddy drive me to my house since he has a four-wheel drive truck. I have never been so happy to get home in my life!!! It ended up snowing around 5 inches at my house which is insane for Tennessee. I used the weather as an excuse to NOT workout yesterday and instead laid around the house and watched movies. At first I felt guilty but after some pretty strong workouts this month I justified it with the fact that my body needed a break. Fortunately late yesterday the snow started to melt and the main roads were clear enough today for travel. Momma and I hit up our gym early this morning. She did laps at the track while I met with Bryan for a treadmill workout. It is pretty simple: you walk for 1 minute at 4.2 mph and then run for 1 minute at goal race pace (for me today that was a 5.8 mph or a 10:20 pace) and then repeat except you add a minute to the run each time and keep the walk at 1 minute. We repeated this until we reached 6 minutes then did a 2 minute cool down so it was an even 30 minutes. After a great treadmill workout, Momma and I tried a new-to-us workout: class Bosu, Strength, and Stability (BSS). It was very much harder than it looked but the time went by fast and I’m glad we tried it. I can already feel it in my core since it had to work so hard to balance my long body. It has been a relatively low mileage week this week but it isn’t over yet. I still have tomorrow and the weekend. Still not sure if I’m going to do my long run tomorrow or on Saturday. We have a double date tomorrow with Brittney and her husband to a hockey game so it would be nice to get a run in before then especially since the temps will be in the 50s. We shall see. Have you had a great week of runs or workouts? What new-to-you workout have you tried lately and loved? And another week of impressive workouts. You are amazing. I have such a love/hate relationship with the step mill! I know its good for me, but I leave that thing drenched in sweat! Love the workouts and I think it’s awesome your gym offers a Bosu based class. I wish we had that where I live! Keep it up girlie! YES…sweating like a pig not even a minute into it. Crazy how crazy that machine is. Thanks so much, friend! Wow! A super impressive week. Thanks for the motivation!! I agree with LindseyOnTheGo! Way to go, you. I bet all that snow would be crazy for Tennessee. Glad you made it home safely. My workout week has been good – finally over this respiratory virus I was dealing with, and I’ve been ramping it up – using the MyFithessPal app to lose 15 pounds I gained when I was having health issues. Down 1 pound in the first week (which was my goal!). Here’s to losing (and keeping off) the other 14! I love the Jillian workouts, and I’ve recently found out that my NordicTrack treadmill (LOVE) has incline and intensity training workouts on it, and they are so much fun and make me work harder than I would normally. Have a great week! Any white stuff in Tennessee sends us all into shock 🙂 Way to lose a pound this week!!! I’ve heard great things about MFP. Keep up the amazing work and keep me updated on your progress! Do you do the Jillian shred series?? 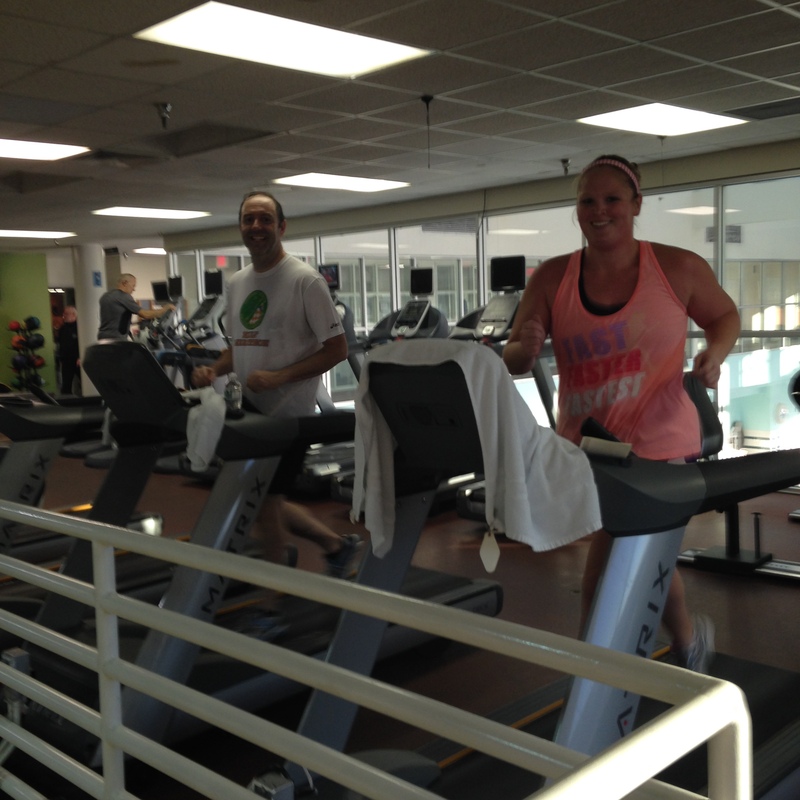 Seriously great work on your running! You’re getting faster and I LOVE seeing runner smile in the middle of a run. 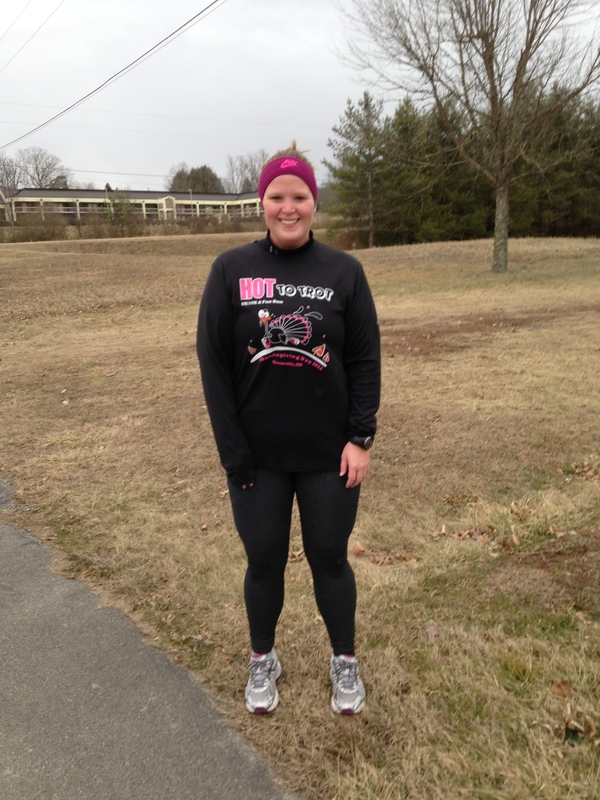 I think posting smiling-running pix should be a new movement! Thanks, Ali! I think a lot of times my face hurts more than my body after a run because I smile so much during it! Love, love, love it! We can start the movement! on fire, woman!! i’m hoping to get into yoga again this week-it’s been a year!! but think my body is back to “normal”. also just bought a barre dvd. Do you like the DVD??? I’ve taken studio Barre a few times and still can’t decide if I actually like it or not! Would love to kow what you think!